The massacre at Sandy Hook Elementary School shook everyone in Newtown, Conn., including the first responders, who will be undergoing counseling. NBC's Anne Thompson reports. Updated at 10:04 p.m. ET: A teacher's son, clad in black and carrying two 9mm pistols, rampaged through a Connecticut elementary school Friday, killing 20 small children and six adults, a tragedy President Barack Obama said had broken the hearts of America. 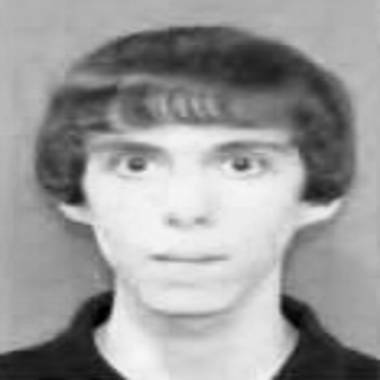 Undated photo confirmed by government officials to be Adam Lanza, who apparently killed himself after killing more than two dozen others, including 20 school children. The gunman, identified as Adam Lanza, 20, was found dead at the scene of the slaughter, Sandy Hook Elementary School in Newtown, law enforcement officials said. The body of a woman believed to be his mother was found at their home in Newtown, authorities said. Officials initially misidentified the shooter to NBC News as Lanza's brother, Ryan. But a senior official later said that Ryan was nowhere near the shooting, is not believed to be involved, and is cooperating with the investigation. Ryan told police that Adam has a history of mental illness, according to the senior official. Yet the motive for the mass killing — the nation’s second-worst school shooting — was a mystery. The weapons used in the attack were legally purchased and were registered to the gunman's mother, two law enforcement officials said. Two 9mm handguns were recovered inside the school. An AR-15-type rifle also was found at the scene, but there were conflicting reports Friday night whether it had been used in the shooting. Police believe Lanza fatally shot his mother in the face, then drove to the hilltop school and unleashed a blizzard of bullets on children and staff in two rooms before apparently taking his own life. "Evil visited this community today," Connecticut Gov. Dannel Malloy said Friday evening. "We are all in this together." Adam Lanza, the man who allegedly committed one of the worst shootings in U.S. history, was 20 years old. He entered the Sandy Hook Elementary School carrying two handguns and hundreds of rounds of ammunition, police said. NBC's Pete Williams reports. “The gym teachers told us to go in the corner, so we all huddled,” she said. "And I kept hearing these booming noises. And we all … started crying. An elementary school student recalls the terrifying moments following sounds of shots fired at her Connecticut elementary school, saying "teachers told us to go in the corner so we all huddled." Most of the bodies were found in two rooms in one section of the 600-student school, which goes up to the fourth grade. Late into the night on Friday, the bodies remained in the school during the investigation. “Everyone was in hysterics -- parents, students. There were kids coming out of the school bloodied. I don't know if they were shot, but they were bloodied,'' she said, according to Reuters. One parent picking up his 7-year-old son said the shooting was “the most terrifying moment a parent can imagine." He went on to describe the anguish of waiting to find out if his son was a victim and then running to his child when he saw him. "It's alarming, especially in Newtown, Connecticut, which we always thought was the safest place in America," he told The Associated Press.